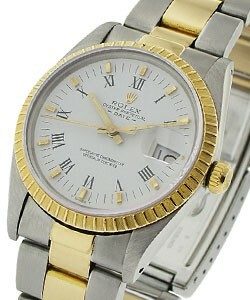 The elegant Stainless Steel Rolex Date in 26 mm is a classic and versatile womens Rolex. 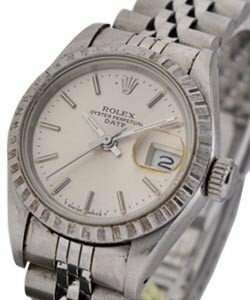 Resembling the famous Rolex Air King, but featuring the date function, the Rolex Date has been a popular classic since its release in the 1950s. 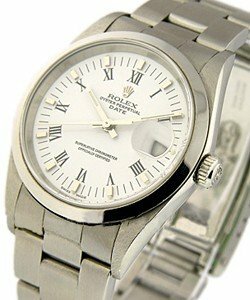 Featuring a gorgeous smooth bezel and the famous Rolex Oyster Bracelet, the Rolex Date 26mm in Stainless Steel is a beautiful ladies wristwatch that will go with absolutely everything. 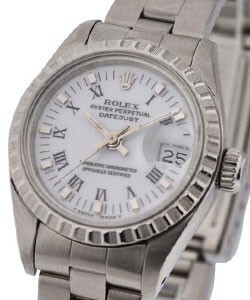 As a corresponding mens version is available,the Rolex date 26mm is also a wonderful choice for anyone seeking a his and hers set.